As a steady stream of dramatic photos posted on the Internet shows, China has a big problem with air pollution; huge in fact. 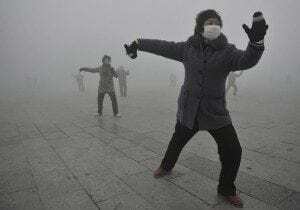 Reliance on coal-fired power plants for electricity and a skyrocketing population of gasoline and diesel-fueled vehicles has turned the air in Beijing and cities throughout eastern China into a toxic miasma. The health threat air pollution poses for the hundreds of millions of Chinese living in affected areas hasn’t been lost on the Chinese government. Nor has its potential to spur social unrest. 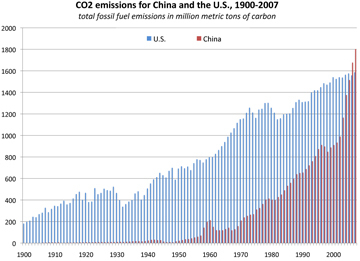 Under the leadership of Chinese Premier Li Keqiang, China’s central government has declared that air and environmental pollution effectively amount to Public Enemy number 1 and are in the midst of developing and launching a series of initiatives to more aggressively reduce carbon emissions and environmental pollution. The Chinese government on July 13 launched the latest salvo in its campaign to combat air pollution, unveiling a plan that requires provincial and local governments, public institutions and government-funded organizations to purchase electric and other clean, “new energy” vehicles. China’s production of electric vehicles (EVs) “is currently modest, to say the least,” notes the China Bystander. Though the Chinese government launched a pilot market to spur growth back in 2009, the goal is to build just half a million EVs per year come 2016 and double that by 2020. For perspective, more than 22 million passenger cars and commercial vehicles were produced in China in 2013. Crafting the “new energy” vehicle plan was a joint effort on the part of five high-level national government agencies: China’s National Government Office Administration (NGOA), the National Development and Reform Commission, the Ministry of Finance, the Ministry of Science & Technology, and the Ministry of Industry and Information Technology. In addition to more aggressively reducing carbon emissions in the transportation sector, the new energy vehicle plan is seen as a means of giving China’s auto manufacturers a competitive leg up on production and sales of EV and other types of clean energy vehicles, which includes those powered by fuel cells. “The number of new energy vehicles will account for at least 15 percent of new cars in 2014 for local government departments and public institutions in the Beijing-Tianjin-Hebei region, the Yangtze River Delta, and the Pearl River Delta,” the three river delta areas along China’s eastern seaboard that are home to its largest cities. The percentage quotas for new energy vehicles, which extend to include all government organs, public institutions and organizations receiving government funding, will be raised year by year. To support implementation, the Chinese government will subsidize purchases of new energy vehicles with prices under 180,000 yuan (US$29,000). It has also directed local governments to build out EV charging stations and new energy vehicle fueling infrastructure.